If the country is no Central water supply, it is possible to drill a well or dig a well and install a pumping station. The pump station fit into several stages and is in the immediate setting of the station itself, laying pipes, connecting the faucets and supply. Before installation, prepare all the necessary. Buy plastic or iron pipes, electric cable length from the electrical panel to the installation site of the socket, which will connect the station. The pump station is not powerful and energy-intensive equipment, so buy the cable cross section of 1.5 square, this will be enough. Buy the socket to ground with a capacity of 25 Amperes. If your pump station, you've got to install, no protection from dry-running, receiving and check valve, the equipment will buy additionally, as the pump cannot run without control devices. Although modern pumping station equipped with everything you need to buy something extra is not necessary. For installation you will also need a tape FUM or linen thread and additional fixing bolts 150 mm long. Before installation read the installation instructions of the pump. Perform all work according to the description, which gives the necessary information for direct installation and start-up. The installation of the pump produce directly around the well. If you put the station, which will pump water from a well, then proceed with the installation as close as possible to the water source. Fix the pump on a rigid Foundation, fasten to the base with mounting bolts. Vibration station does not need to move. Then refit the water pipes and taps and also install the socket and wiring. Socket connect to ground. All connections of water pipes do most reliably. All stations operate in the presence of a vacuum, and if there is air leak, the pump will not be by yourself off. 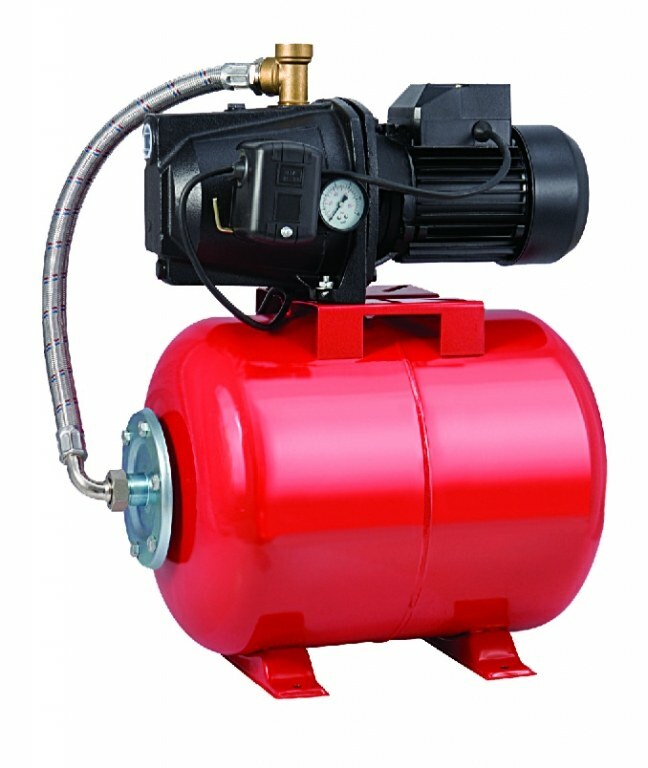 If the pump is backward, the suction valve and protection against dry running, it is enough to connect the receiver outlet to the well, and the back water. If no valve, then check valve set at the outlet hole, and the suction line install the suction valve. Protection against dry running install between the suction line and the receiving valve. All connections, isolate the linen thread or tape FUM. In the last turn adjust the pressure of water flow and suction. All adjustments must comply with instructions from the manufacturer. Fill the tank with water, close the tube, open the taps and turn the pump into a power outlet. Subsequently you don't need to enable or disable the pumping station, as it will work in automatic mode.